The devastating tornado that ravaged Bara and Parsa districts last week, killing 28 people and injuring 600, made daily headlines. But lightning strikes kill more people annually in Nepal than floods and storms, yet do not get as much attention. Lightning is responsible for 24,000 deaths worldwide every year. In Nepal, after the 2015 earthquake, lightning accounted for the highest number of deaths due to disaster in the last eight years, with 840 fatalities. In fact, Nepal tops the list of countries with the most lightning fatalities per unit area. More people die every year in electric storms in Nepal than in the whole of North America. Janak Rawal, 14, of Accham lost his life when he was struck by lightning at his house on Monday night. Sixteen others sustained injuries. A similar incident in Mechinagar Rural Municipality on the same day claimed the life of Prakash Raut and left two injured. Recently, three people in Baitadi were struck with lightning as they were using their mobile phones outside their homes. “We ignore lightning because unlike other disasters it rarely leads to mass casualties. The strikes are sporadic and scattered, but it is a major killer nonetheless,” says Shri Ram Sharma, professor at Amrit Science Campus in Kathmandu. Sharma developed a keen interest in lightning after his sister was struck by a thunderbolt when he was a child and survived miraculously. He now researches lightning strike patterns in Nepal. Since 2011, lightning fatalities have exceeded 100 every year except in 2015/16 and 2018/19. In 2015, the Nepal earthquake struck during the pre-monsoon and lead to miscalculations on total deaths caused by lightning. The sharp decline in human fatalities this year is mostly due to under-reporting. Lightning strikes are also occurring more often at unusual times, such as early mornings and late nights, when people are safe in their homes. However, the decreases in these two years are anomalies in the overall trend of fatalities, which are much higher. This could be due to better reporting after the National Emergency Operation Centre was set up at the Home Ministry five years ago, but studies have also linked the increase in intensity and frequency of thunderstorms to climate change. A 2014 report in the journal Science stated that for every 1 degree Celsius of warming, there is a 12% increase in lightning activity, meaning that the number of strikes in the United States could increase 50% by the end of the century. Nepal has just experienced an unusual winter with heavy precipitation, and rare thunderstorms. Such storms are uncommon in winter in the Himalayas, occuring primarily in the pre-monsoon season between March-June as a result of convection systems created when hot air from the Indian plains rises along the mountains. Globally, up to 95% of all lightning is negatively charged, but it is the 5% of positively charged lightning strikes that are more lethal. In Nepal 34% of all cloud-to-ground strikes are positively charged. Nepal’s topography, and the proximity of eastern mountains to moisture from the Bay of Bengal, make the country more prone to thunderstorms. The other reasons for the country’s high fatality rate is that lightning from storm clouds travels much shorter distances to reach the ground in the high mountains. Nepal is also the most densely populated mountainous country in the world. Within Nepal itself, a districtwise breakdown of fatalities (see charts) shows that Makwanpur is the most dangerous, with 54 deaths and 245 injuries due to lightning in the last five years. Lightning is particularly destructive in an agriculture-dependent country. Thunderbolts deposit a significant amount of nitrate in the soil every time they strike, and an excess of nitrate is detrimental to crops. The fatality rate from lightning strikes for livestock is higher than that for humans. Cattle are five times more likely than people to get killed in an electric storm. In industrialised countries, there are only 0.3 deaths per 1 million population caused by lightning. The fatality rate is much higher in the developing world, with up to 6 deaths per million. Lack of knowledge about lightning and insufficient safeguards in buildings are the main reasons. 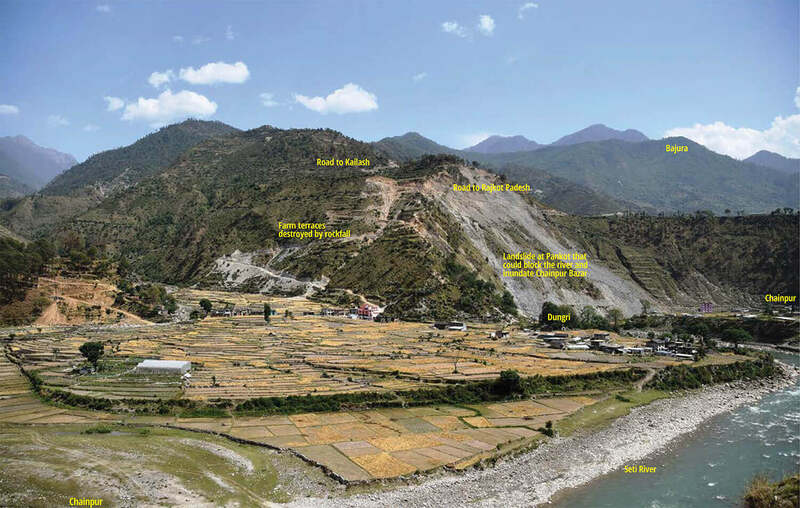 In Nepal the latter factors compound the topographical and meteorological reasons for fatal strikes. 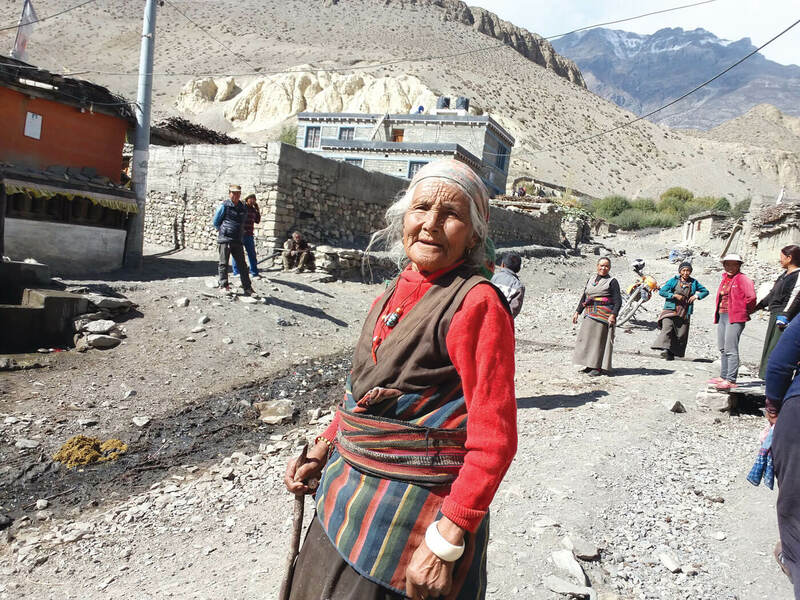 Added up, Nepal’s vulnerability is further increased by the rise in frequency and intensity of storms caused by global warming. “We have to get used to more potent lightning and its increased frequency. We need better protection, preparedness and public awareness,” said climate scientist Ngamindra Dahal, who says lightning risk should be prominently incorporated into school curricula. Public buildings such as schools, hospitals and government offices should be equipped with lightning rods. Telecommunication and transmission towers are at high risk because they are located on mountain tops, and need special safety measures integrated into their design. As more people use mobile phones, they must remember that it could be dangerous to use electronic devices during thunderstorms. Experts lament that despite the high fatality rate, lightning does not command the same priority as earthquakes and other disasters. They want the government to focus on policies that require the public to take lightning into consideration before building new structures. The best strategy moving ahead should be to invest in forecasting equipment and better preparedness. 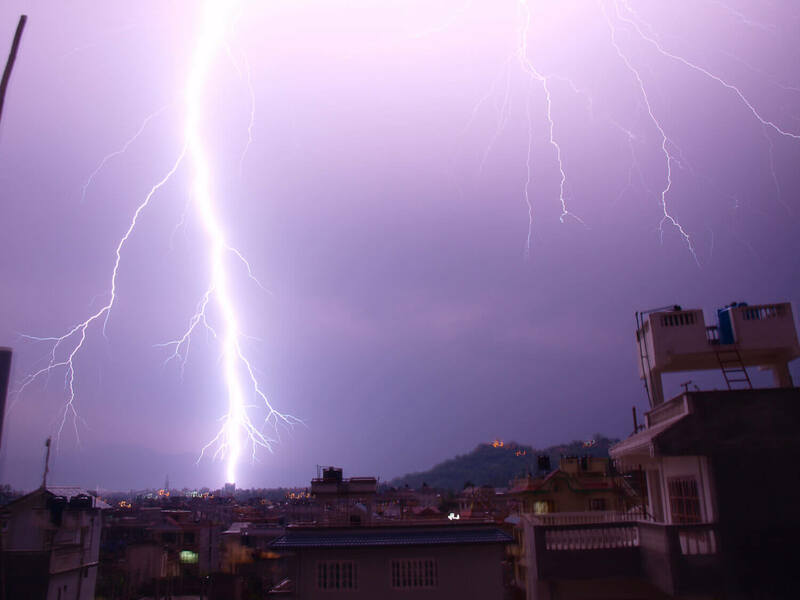 The good news is that the Department of Hydrology and Meteorology has set up nine lightning detection stations across Nepal (Dhangadi, Surkhet, Nepalganj, Pokhara, Bhairawa, Kathmandu, Simara, Tumlingtar and Biratnagar) to study thunderstorm activity and provide more accurate forecasts. “Data generated at these stations can indicate long-term lightning trends, their frequency and concentration, which in turn can help with better ‘now-casting’ of electric storms so people can seek safety,” said senior meteorologist Archana Shrestha at the Deaprtment of Hydrology and Meteorology. 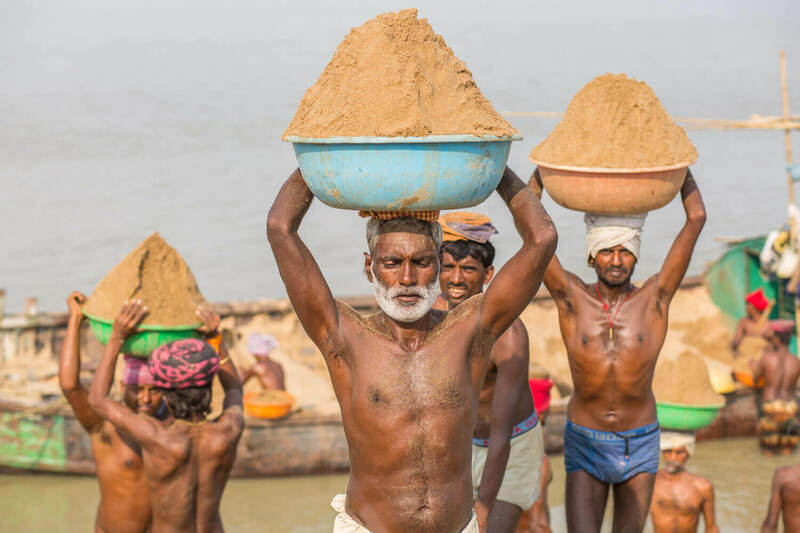 Nepal is hosting the annual South Asian Seasonal Forecasting Summit this month, at which international climate scientists will work to provide a collective monsoon forecast for South Asia so that governments in the region can plan for better agricultural productivity and be prepared for extreme weather events. Simply put, lightning flashes are a flow of electric charge, but they are created via a complex mechanism. 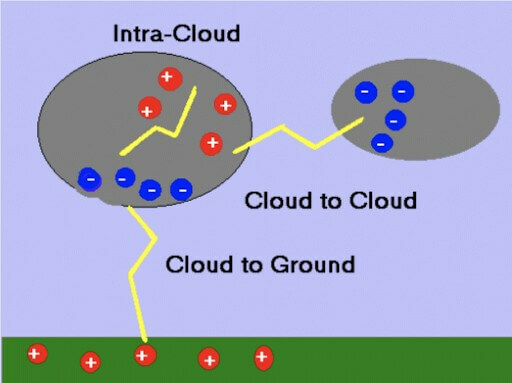 Through ionisation and movements within a cumulonimbus cloud, two distinct clusters of positive and negative charge form at opposite ends of the cloud. Negatively charged particles accumulate at the bottom while positively charged particles gather at the top. This creates an electric potential difference, or voltage. When the voltage is strong enough, the negative particles move towards the positive side for balance. This can occur within a cloud or between two clouds. The particles, mostly the negatively-charged ones, can also travel down to the ground. This creates the lightning flashes. Extremely high energy is also released in the process, producing heat with temperatures that are five times hotter than the surface of the sun. Because of this heat, air surrounding the lightning flashes heats up and expands quickly, generating loud bursts of thunder.